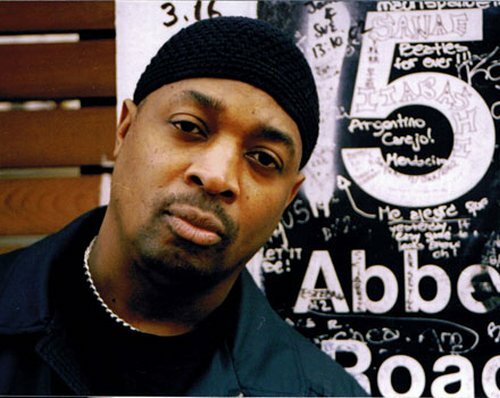 Chuck D Said It Before And He’ll Say It Again: Fight The Power. Q: You’re married. I think you just had a baby. Congratulations. A: Thank you. I have a 23-year-old in grad school and an 18-year-old senior in high school and trust me, you have to have accountability and responsibility to those things first. Then your career and music come after that. Sometimes it’s a hard fit. But you got to set it in order. Q: Has it been hard for you? A: Yeah, of course. But life as an adult and as a parent is going to be challenging regardless, whether you’re in one place all the time or not. My time with family is really more than the average person working the monstrous hours of seven in the morning to seven at night and being exhausted on the weekend. You’ve got to arrange and organize your time. Q: The responsibilities of adult life are in many ways at odds with the life of an artist. A: Yeah, there are so many crutches given to young people that we’ve avoided as a group, and I’ve avoided as a human being. For example, I never drank or smoked as a thing of habit. Maybe a couple of glasses of champagne when I turned 40. They tell you you’ve got back-to-back dates so you’re going to be tired. A late night doesn’t work with an early morning, but you’ve got to be able to withstand that rigor. You’ve got to figure out how to do it naturally and you’ve got to understand that health is your first priority. We’ve always been on a fitness and health regimen. People say, “Chuck, your voice is getting stronger. You guys are doing longer and more powerful shows than ever.” As a vocalist you can’t be drinking and smoking and expect your voice will be the same. Over a 30-year period something’s going to give. And rest is important. You’ve got to cut out a large chunk of extra-curricular activity when you’re touring. When you start to take things to make you be up, be down, that’s the long road to being fucked up. Excuse my language. That’s what’s worked for us. I mean, you can’t find too many groups. The Roots, who started professionally in the ’90s. Beastie Boys are doing their thing. You can’t find too many. Q: You guys must have prioritized personal relationships, too. I think that’s another thing that blows groups up, the egos and the infighting. A: Well, we don’t make a lot of money ’cause the money goes a lot of different ways. It’s like the equivalent of the Duke Ellington Band. What I tell people is what you do get, you better take care of it. If we play Vegas and you make $1,000 and you spend $500 at the tables, when you get home you’re going to be minus $500. That’s simple math. Q: Not everybody does the math. A: Yeah, and then you have people frustrated about what they’re getting and not getting. You have bickering. With a big group you’ve got cliques of people that hang out with each other and get along and you’ve got people who have difficulty getting along. So you’ve got to have a leader who pays attention to the relationships. I have a great relationship with everybody but sometimes everybody doesn’t have the greatest relationship with each other. At the top of the group you’ve got to be open to that and listening and figure out ways to fix it, be it salary, be it obligation, be it something else they have on their minds. I tell people if you don’t feel right you might want to take off. This isn’t something you’ve got to do. Q: Let me ask you about words. Sadly, there’s no shortage of source material. A: There’s no shortage of source material, which is a troubling thing in rap music and hip-hop. All you got to do is open up the newspaper. That’s what Phil Ochs said. Just open up the newspaper. You’ve got to ask yourself the question, “Who the hell am I talking to?” The problem is a lot of times rap artists a) don’t listen to each other, b) they get locked into their own era, and c) they bring a whole lot of baggage that they didn’t invent in the first place and they think they’ve got to do it that particular way in order to relate. I’m thinking, OK, here’s a person, you’ve got grandkids, and now you’re gonna make a song that relates to the streets? And major record labels are the only ones that get on the radio so you feel like you can’t say what you really feel, deep inside. That’s a problem cause you’re not being 100 percent of the artist you’re free to be. Q: That’s an issue across the board, I think, with artists feeling the need to jump through hoops to make it and to be in the mainstream and so they put out what they think the kids want to hear. A: Kids want to hear what they’re exposed to, and what they’re exposed to is what other kids are talking about in their high school classes and middle school classes. I tell people unless you’re saying the right thing that reflects what you really believe and how you really think, which reflects the wisdom you gain as you grow older, seriously, you don’t want to be a 35-year-old artist with a whole bunch of 14-year-olds following you for something you might deem as dysfunctional. You don’t want that dysfunctionality up in your house, so why do you want that dysfunctionality up in their house? So just be you. That’s what DMC says. He said I want to be an artist that reflects my 35 years or my 40- or my 43-year-old self. And I salute that because there’s plenty of things you can say as a 40-year-old artist that makes more sense now than ever. You’re 42 years old and you want to talk about drugs up the block? The 14-year-old is able to say that. The advantage an older rapper has is some knowledge, wisdom, and understanding on what not to do. Spend your time writing on something that they can’t write. Q: Do you think about your own mortality? Do you feel a sense of urgency to get things said or done? A: I don’t feel a sense of urgency. I was lucky to start out, when I started out, knowing that a lot of these things would still be relevant today. I didn’t spend time talking about things I didn’t think were relevant. I set out to write songs that would stand the test of time, whether I was here or not. But you’re always thinking about mortality, you know. If I disappear tomorrow what would be my final word? I said it. Fight the Power. I might have said everything I needed to say my first three years, but we built aspects out that reflected on what we witnessed in the world. It’s a catalog that’s very expressive of what we feel and how we felt. Q: Hip hop is in its own midlife. Has the genre evolved the way you hoped or imagined it would? Has rap grown up? A: No. It hasn’t grown up. That’s one of the reasons we built Hip Hop Gods, so there’s a place where people can grow up and not feel they have to capitulate to the values of a recording company trying to figure out how make money selling rap music to an ever-increasing younger demographic that might be into something else. « Rickie Lee Jones Can’t Stop, Won’t Stop. Grammy winner, Dave Alvin, has been roaming the highways of American music for over a quarter century. Frank Black’s World Is Loud, Chaotic, and Extreme. He’s Also In The Pixies.